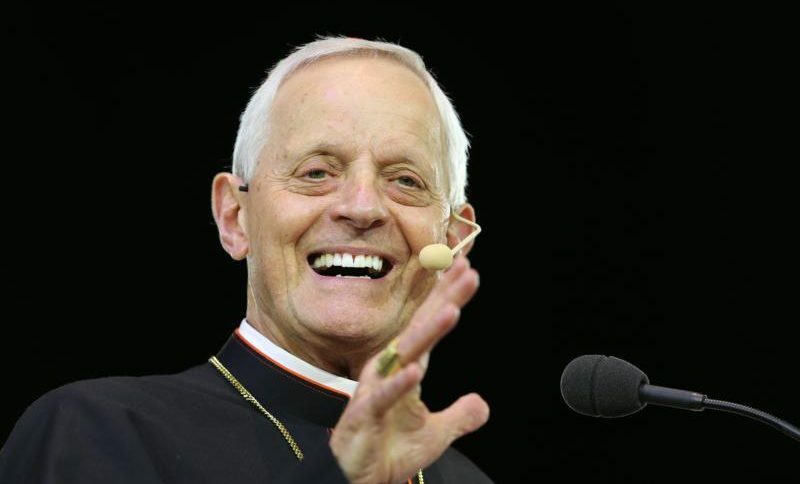 ORLANDO, Fla. (CNS) — Washington Cardinal Donald W. Wuerl urged participants at the “Convocation of Catholic Leaders: The Joy of The Gospel in America” to take a look at each other in the hotel ballroom and realize that they, as lay leaders in the church, are responsible for spreading the Gospel message and they shouldn’t waste the moment. “This is not something new that we haven’t heard before,” he told the delegates in Orlando in a July 2 keynote address. The cardinal stressed the sense of urgency of evangelizing and inviting others to Christ, stressing that Catholics have a perfect role model for this in Pope Francis, who has continually presented the church as inviting and open. Cardinal Wuerl also acknowledged that Catholics are not always comfortable with the idea of evangelizing but they need to be willing to step out of themselves and talk with people about their faith as part of an encounter often spoken of by Pope Francis. An encounter is not meant to tell people “they can be as wonderful as we are,” the cardinal said. It is about telling them about Christ. He also noted that as people take this Gospel message out to the peripheries that doesn’t just mean economic peripheries either but spiritual ones as well. People need to be asked about their faith and encouraged in it, he added. His point was that many people have questions or even misconceptions about faith and need to be part of a conversation about it. Stressing that church members today, as always, are called to be evangelizing disciples, the cardinal said this role requires courage, a sense of urgency, compassion and joy. A panel of church leaders who spoke just before the cardinal, similarly stressed the need to evangelize in simple ways of sitting and eating together, sharing conversion stories, and also reaching out to parishioners and urging them to be more involved. The cardinal and many of the panelists also emphasized that reaching out to others requires a reconnection of one’s personal faith. One of the panelists, Piarist Father Rafael Capo, who directs the Southeast Pastoral Institute based in Miami, which coordinates and assists diocesan Hispanic ministry programs, told the crowd that what they need to do as Catholic evangelizers echoes what his mother always said about having company. Part of making people feel welcome is simply listening to them, caring for them and leading them to Jesus, noted Sister Miriam James Heidland, a sister of the Society of Our Lady of the Most Holy Trinity. Sister Miriam, whose Twitter handle is @onegroovynun, said she was brought back to her faith by a parish priest. “I’m sitting here today because somebody loved me in my brokenness,” she said. “We ache for more,” she told the crowd, stressing the need to offer a “continual invitation” to those around them who might be searching for God. Taking this idea of invitation a step further, Sherry Weddell, author of “Forming Intentional Disciples,” urged the convocation delegates to look around in their parishes and get others involved in ministry. Father Capo had a similar message for church leaders specifically about Hispanic Catholics. “You need to be opening spaces for young Hispanics, not just opening doors for them but empowering them,” he said urging them to train and form future church leaders from the Hispanic community. Curtis Martin, founder and CEO of the Fellowship of Catholic University Students, or FOCUS, likewise challenged leaders to get young people more involved saying: we are not asking enough of them.